After a great start in race 1 where Ryan jumped straight up into 3rd place with a great move around the outside of Fisher in turn 1, he lost 3rd gear in the gearbox and dropped a few places. Coming into the last corner, Jim Policina took a big dive down the inside of Jason Gomersall but was way too late on the brakes and cleaned up Ryan, turning him around and leaving a big dint in his door and rear guard. Race 2 saw Ryan start from the back row, with Policina next to him after getting a penalty for his indiscretion. Ryan however passed 10 cars on his way to 7th place and the Torana felt good with a few minor changes to the rear roll centre. With plenty of discussion after race 2 about further suspension changes Ryan lined up in 7th for Race 3 and by the end of lap 1 was already in 2nd place with the Multispares Torana the fastest car on the track. John Bowe got tangled up with other cars in turn 1 and got spun around, which left Steve Johnson way out in front. Over the next few laps Ryan caught Johnson by .5 second a lap and just as he caught the Mustang it suddenly faulted and pulled off to the side – “Mustang Sally” had broken a throttle cable. Ryan continued on and built a sizeable lead and was the fastest car on track. 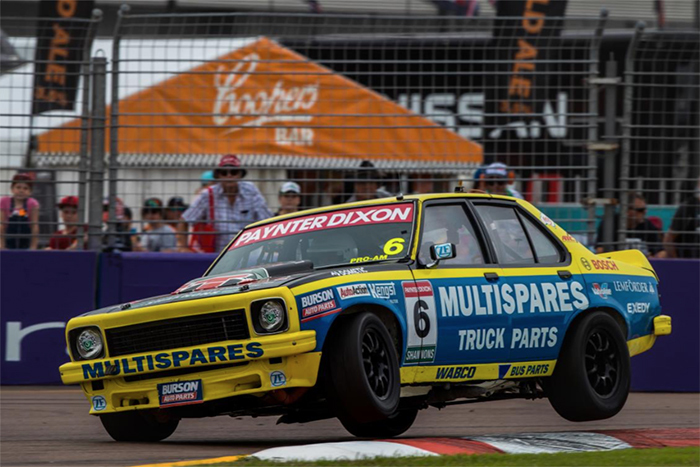 John Bowe was on a mission carving his way back to 3rd, but still he wasn’t lapping as fast as the Multispares Torana. The 2017 Pro Am series winner Adam Bressington finished 2nd but was no match for Ryan around the Townsville track. After the race Ryan said, “I am really pleased to have won my first TCM race, and we finally have found the sweet spot in the handling, so it is even more pleasing to have the actual pace to win. I could see that I was catching Steve, and was already looking at where I might be able to have a go at passing him. 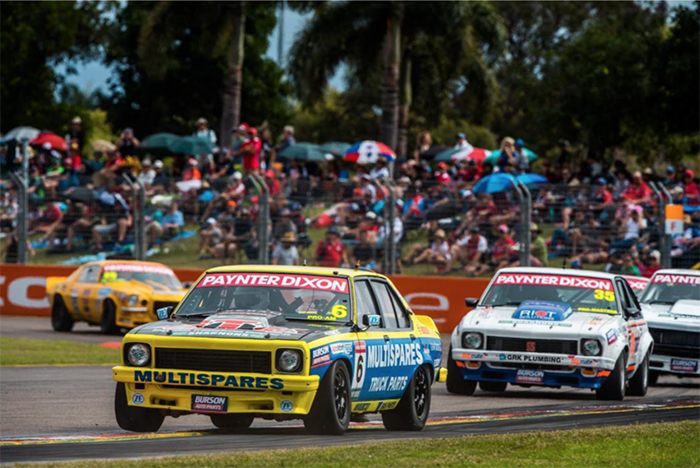 Back luck for Steve but I reckon I had him today” “I’m so pleased for Multispares and ATC and also Rod and all the boys and girls (Shannon, our 1st apprentice) who have worked so hard on getting the set up on the Torana just right” Hansford added. The next round will be Sandown Raceway on September 14 – 16, followed by Bathurst and Newcastle.